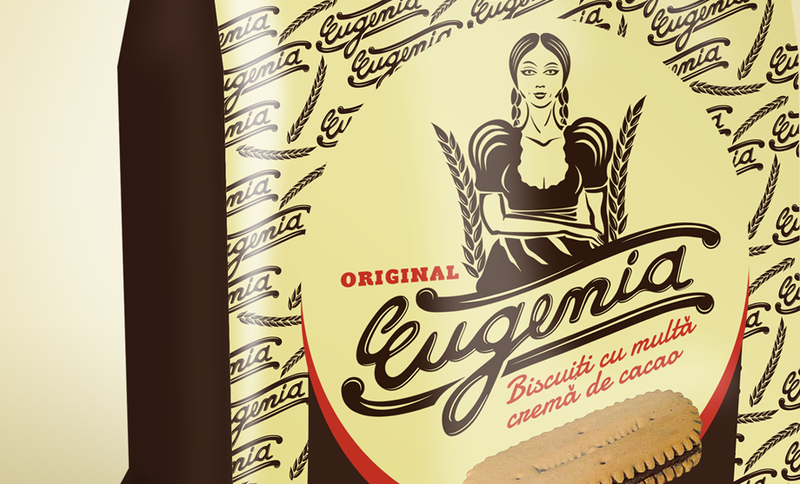 it became a very popular product among children and teenagers – it was their favourite snack . 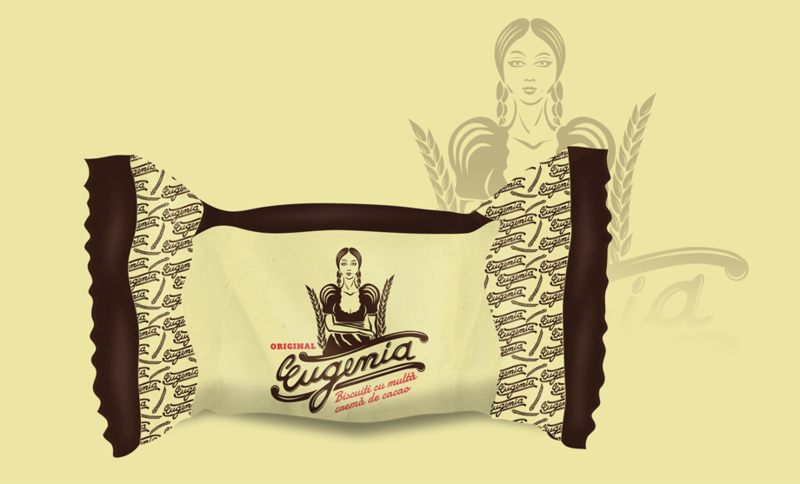 Currently, this brand has a rudimentary image, unattractive branding (it lacks branding more likely) and a poor packaging, even though it stands for a well-known product with a rich background and tradition. 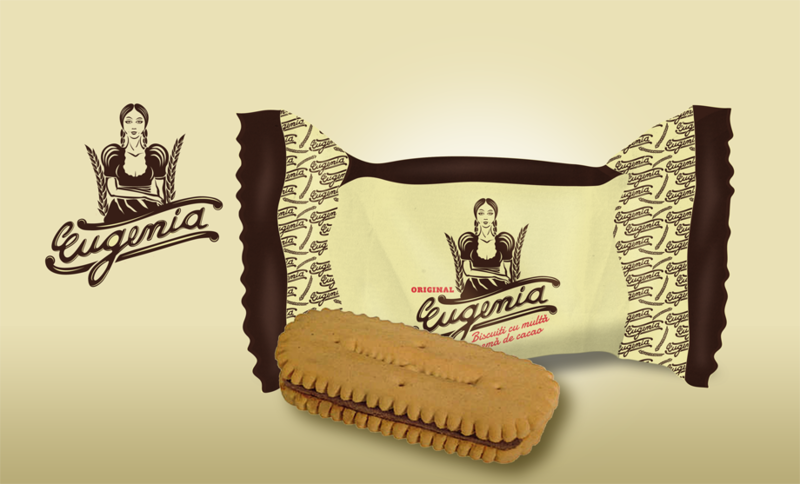 I fancy this product myself, it’s taste and the nostalgic feelings I get every time I take a bite out of it. 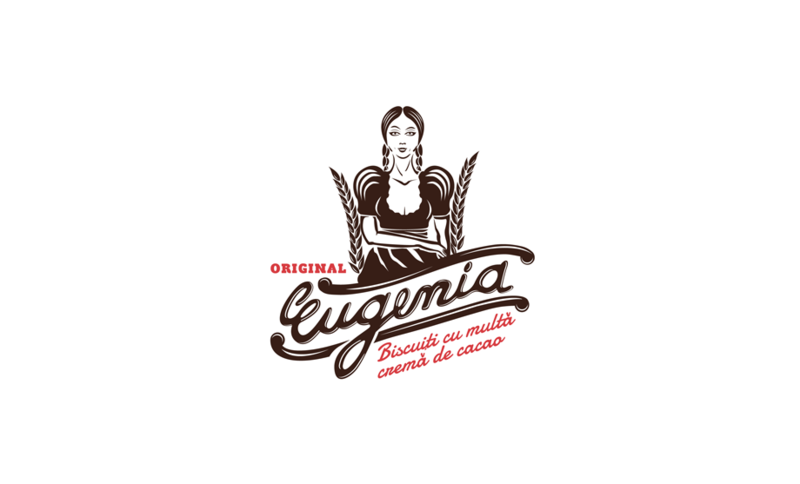 The fact that “Eugenia” doesn’t have the proper image, bothers me. 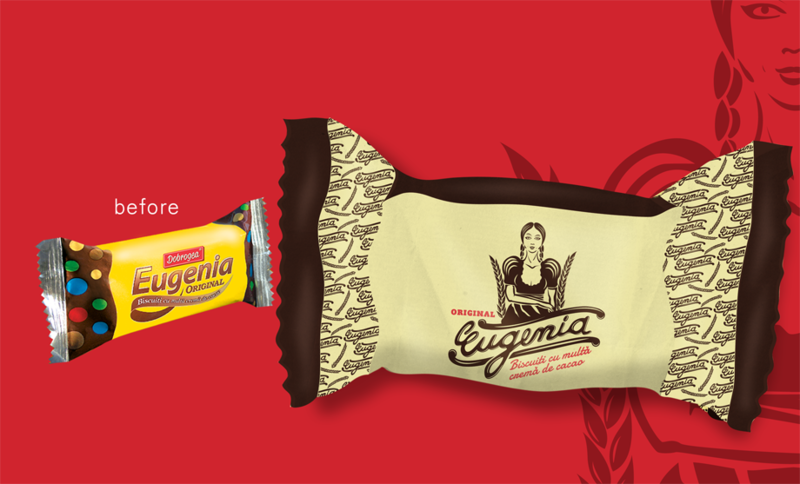 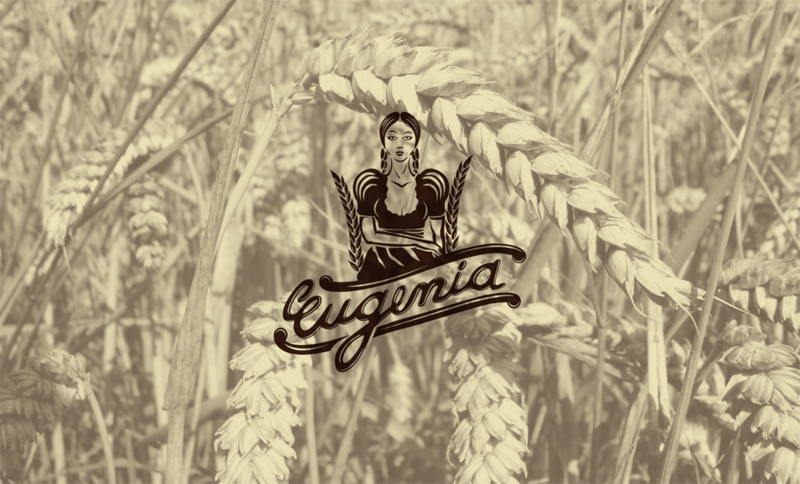 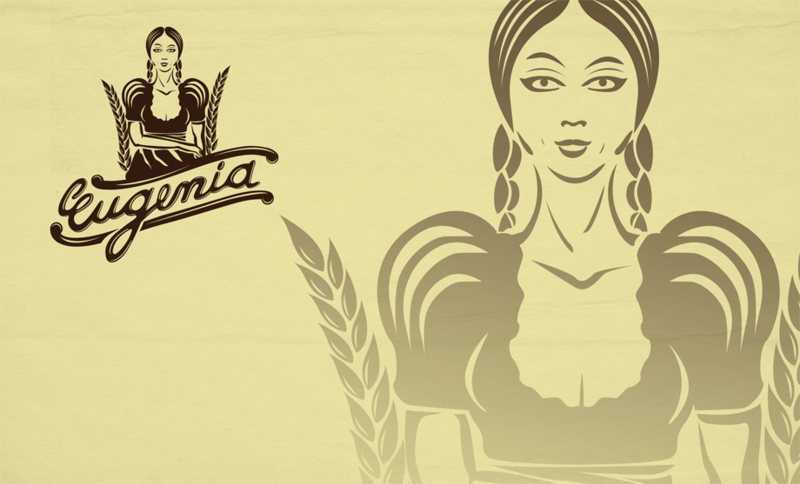 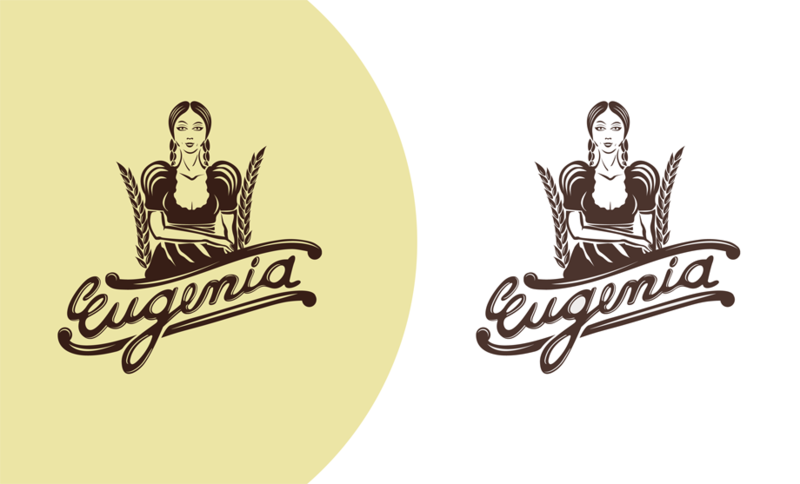 So, I’ve initiated a rebranding project and a new package design for “Eugenia”. 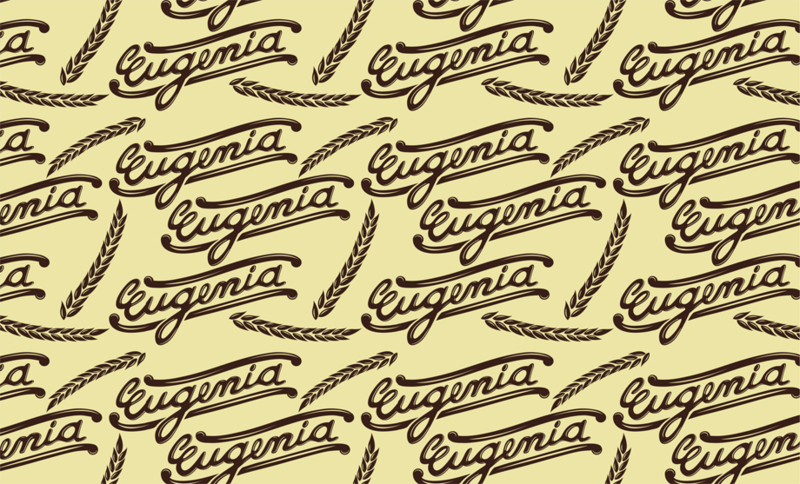 This is how I envision the brand. I’ve created an illustrative brand mark as visual identity, because the product needs to be identified with an appealing feminine character, it needs to have an easily recognizable image and an iconic symbol. 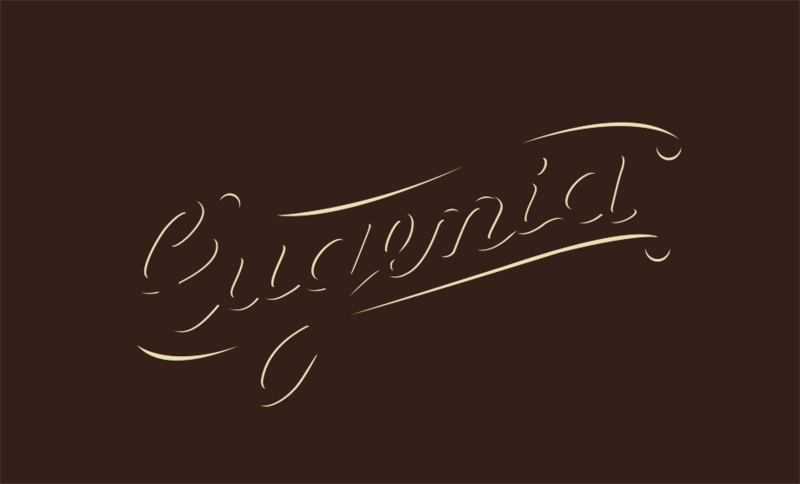 Also, I’ve created a special lettering solution for the brand name, an unique hand-made type. 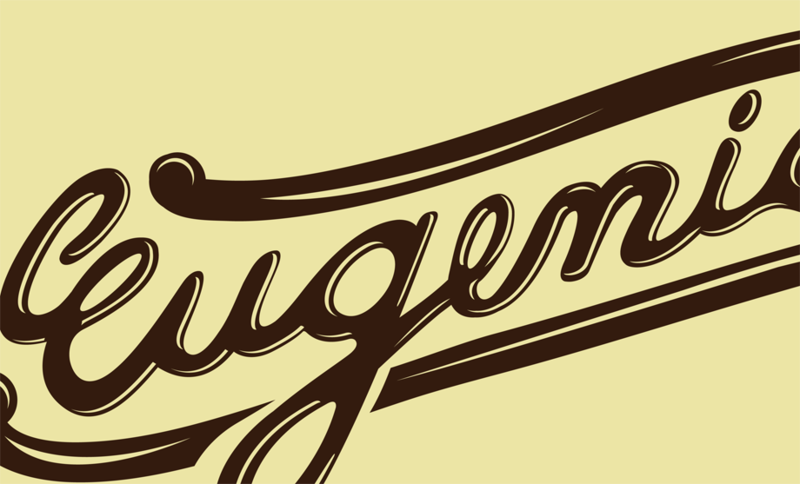 The colors make reference to the era when this brand was launched on the market. 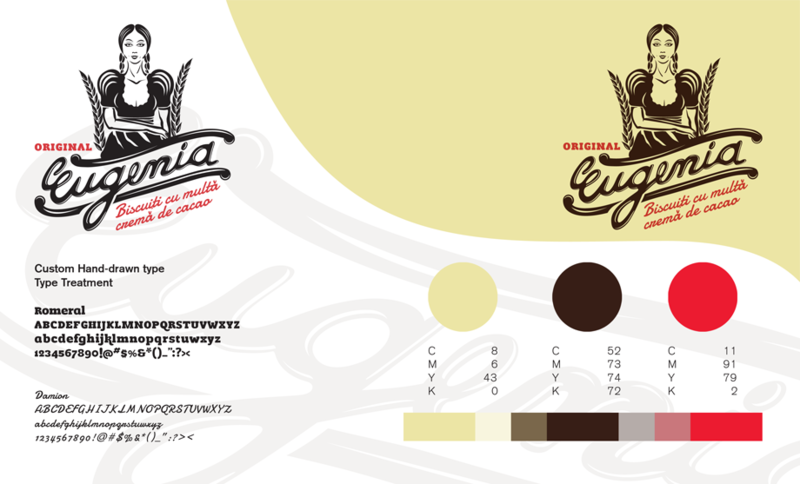 The chromatic scheme carries a retro allure and at the same time, identifies the product with it’s typology. 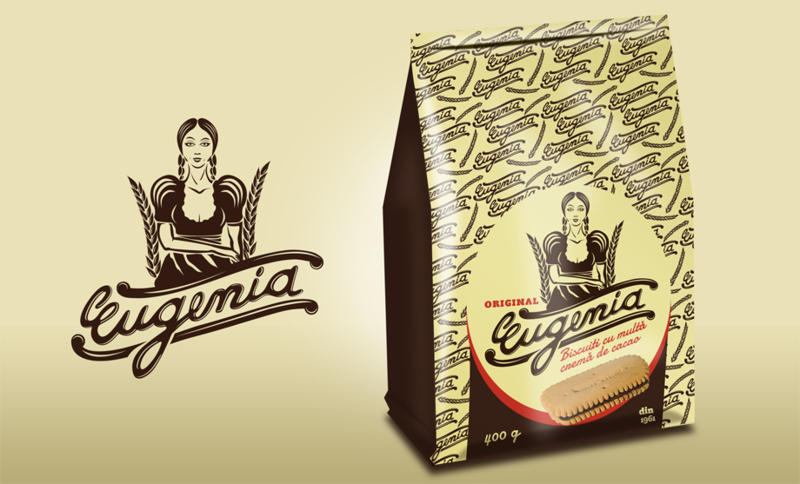 For the packaging, a dynamic pattern was created, as an auxiliary element of the brand.